In Cat Royal's third thrilling adventure, the Theater Royal is closed for renovations. Cat's friends plan to spend the summer in France, leaving her homeless and alone. But Mr. Sheridan, the theater owner and Cat's guardian, commissions Cat to act as his spy in the French Revolution. Disguised as a member of a dance troupe, Cat infiltrates the front lines, but when her friends are captured as traitors, her mission becomes perilous. Will Cat be able to save them all from certain death? 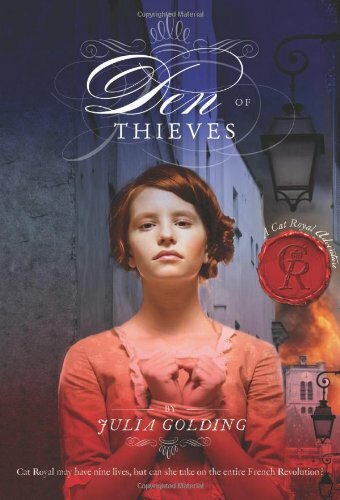 Travel with Cat from London to Paris, as she braves dungeons, revolutionaries, ballerinas, and numerous suitors, all in the name of freedom!